Exploring Clayoquot Sound since 1986. Make our scenic waterfront boathouse your home-base for marine advenutre in Tofino. Whale watching March through October. 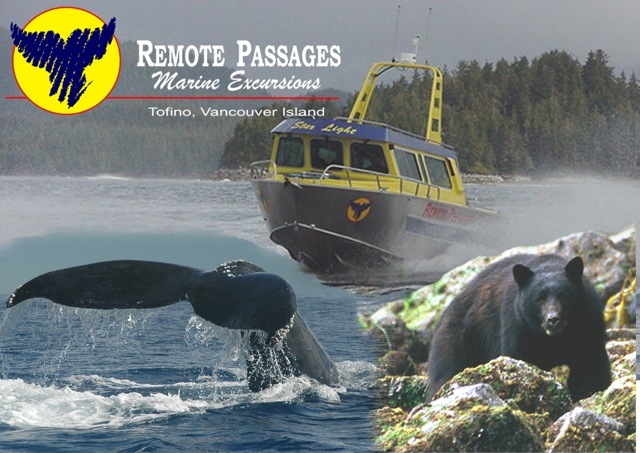 Boat-based observation of black bears and our renowned “Hot Springs Explorer” day trip to Hot Springs Cove all range widely to explore the many different environments of Clayoquot Sound.